Through her multidisciplinary practice, grad student Mays Albaik explores ideas such as the role of speech and silence in political protest. 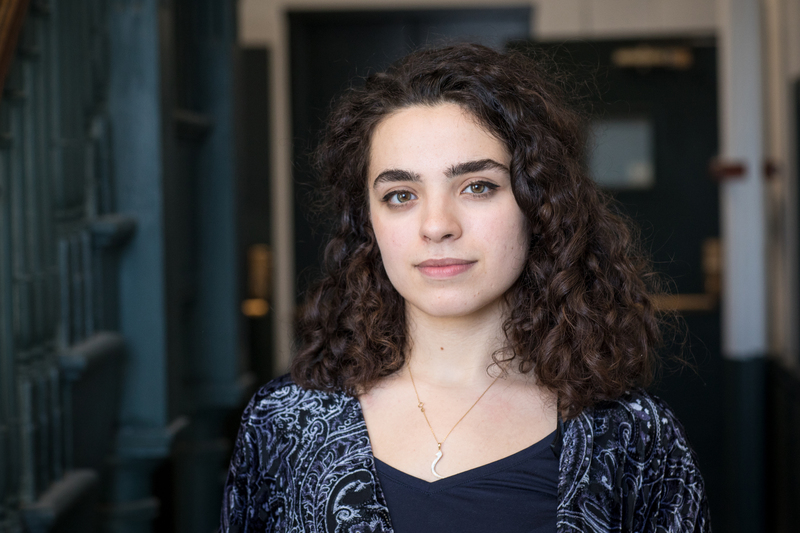 Growing up in the United Arab Emirates, Mays Albaik MFA 19 GL knew she wanted to pursue an art education... and possibly one in mathematics—and maybe earn a literature degree, too. “I like how both art and math involve problem solving,” says the grad student, “and I’m incredibly fascinated by language and narrative structures.” But even after combining the first two through an architecture program at The American University of Sharjah (in the UAE)—and barely resisting the urge to simultaneously study literature elsewhere—she remained too attracted to new ideas to stay settled for long. 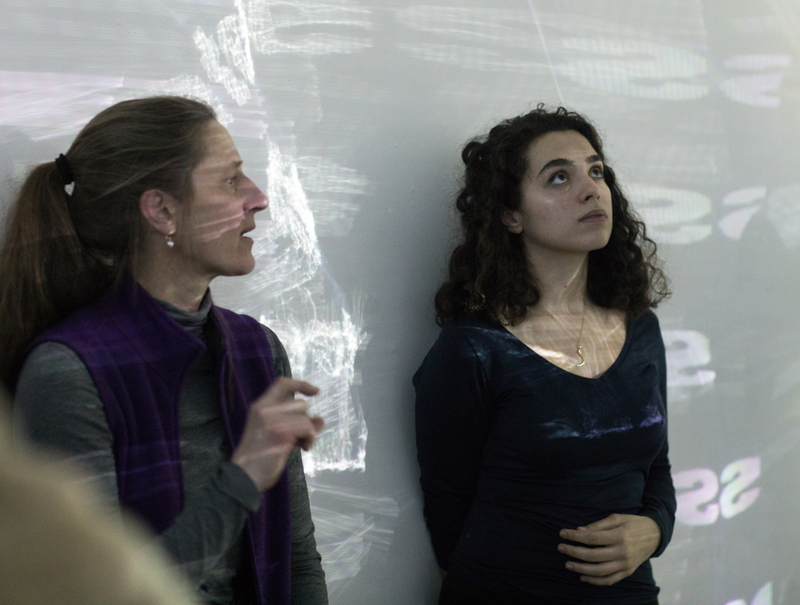 So for Albaik, RISD’s graduate program in Glass has presented her with a welcome opportunity for creative exploration free from disciplinary constraints. “Students are encouraged to make their own path,” she says, “and everyone is open to different methods of making.” Since discovering the Glass studios three summers ago (while participating in the Salama bint Hamdan Emerging Artists Fellows program for emerging UAE-based artists), the second-year MFA candidate has fully embraced working in a space where her diverse interests—both longstanding and newfound—intersect with a liberating approach to studio practice. 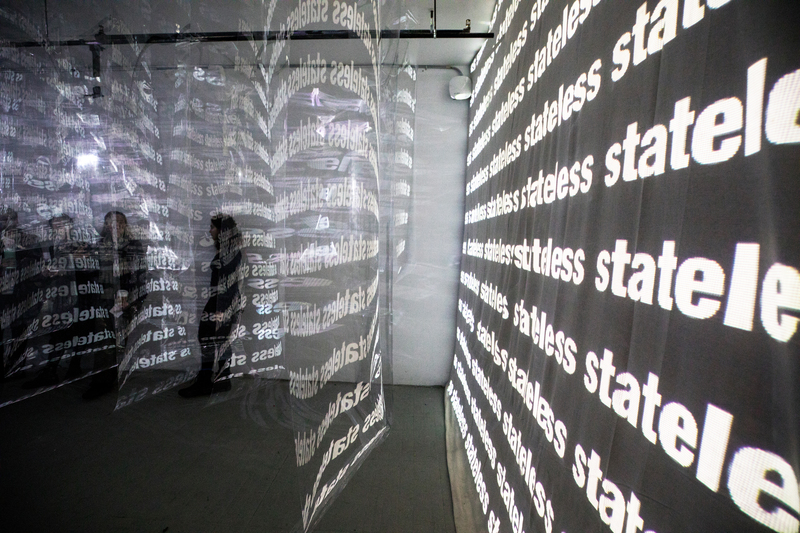 “The Glass faculty doesn’t have tunnel vision about what you can do here,” says Albaik, who combines sculpture, video, performance and other media to address a complex set of dichotomies: silence and speech, privacy and public space, power and resistance. “I spent last year interrogating the idea of the mouth as a charged and generative space,” she says in describing a project that has led her to, among other things, make molds of words out of dental alginate (“a really disgusting material”) and pull them from her mouth as a way of dramatizing tensions between protest and oppression. Work like this emerges from both the spontaneous play of material experimentation and Albaik’s alarm at ongoing political conditions in Syria, where her parents were born. “So casting words is a way of muting them—of neutralizing them as soon as they’re spoken.” She admits that such projects can be emotionally exhausting, so she’s thankful for the support of mentors—including Glass Department Head Rachel Berwick 84 GL—who encourage her to pursue other ideas when necessary, confident that even the most divergent paths will lead back to the artist’s central concerns. "She is the reason I wanted to major in Glass," Albaik says of Glass Department Head and mentor Rachel Berwick (left). As much as she enjoys immersing herself in studio work, her stateless citizenship status as a “palestiniansyrian” forces Albaik to be especially pragmatic about future plans. “I can’t just live in a country and be an artist there,” she says, “so the only way for me to sustain a practice is to have a job.” In this, too, she has found opportunities here for professional development: she’s currently a member of the editorial team for the student journal v. 1 and helps run the Glass department’s website and social media platforms. In addition, through a summer internship at the RISD Museum, she has gained experience in curatorial research, museum operations and educational programming. When considering what’s next after graduation, Albaik is unsurprisingly open to several paths—and confident about the possibilities. “I think I’ve established a great foundation here for what comes next,” she concludes. RISD and the Salama bint Hamdan Al Nahyan Foundation are working together to support the UAE’s emerging art scene. Thanks to a 2018/19 Fulbright Fellowship, Gayle Forman 14 GL will push materials exploration to new heights in São Paulo, Brazil.